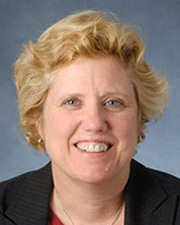 Susan M. Lunte is the Ralph N. Adams Distinguished Professor of Chemistry and Pharmaceutical Chemistry and Director of the Adams Institute for Bioanalytical Chemistry at the University of Kansas, Lawrence, KS. She is a fellow of the American Association of Pharmaceutical Sciences and the Royal Society of Chemistry. In 2004, Dr. Lunte was the recipient of the AAPS Research Achievement Award in Analysis and Pharmaceutical Quality. She was awarded a Science Foundation of Ireland Walton Fellowship through Dublin City University in 2006. Susan was the chair of the Analytical Division of the American Chemical Society in 2011. She is currently the Associate Editor for the Americas for Analytical Methods. Her research interests include the development of microfluidic-based methodologies for separation and detection of peptides, amino acids, neurotransmitters and pharmaceuticals in biological fluids.